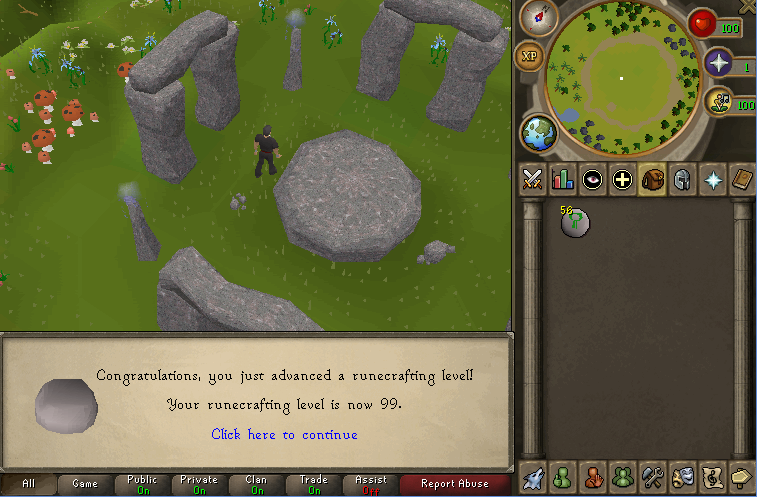 Lazy Storm's 1-99 Runecrafting guide! 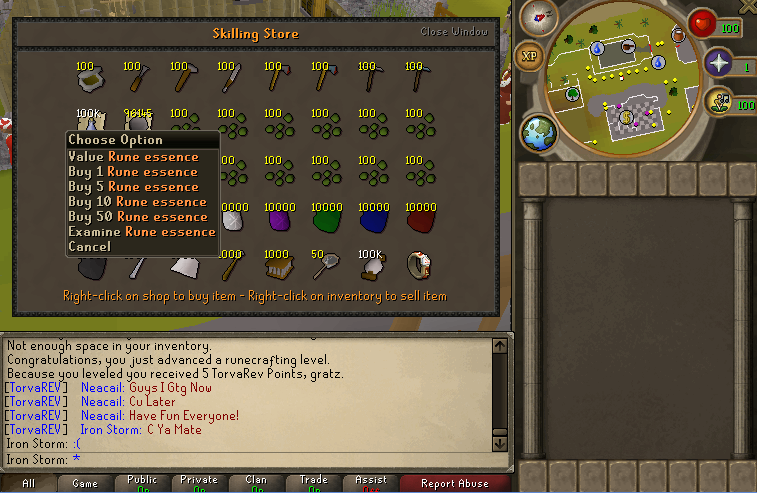 First, at home, in the skilling shop, you can buy rune essence! You'll need up to 3700 rune essence to get 99. Now that you've bought your essence, Bank it, pull out 28, and take it to the zamorak mage! 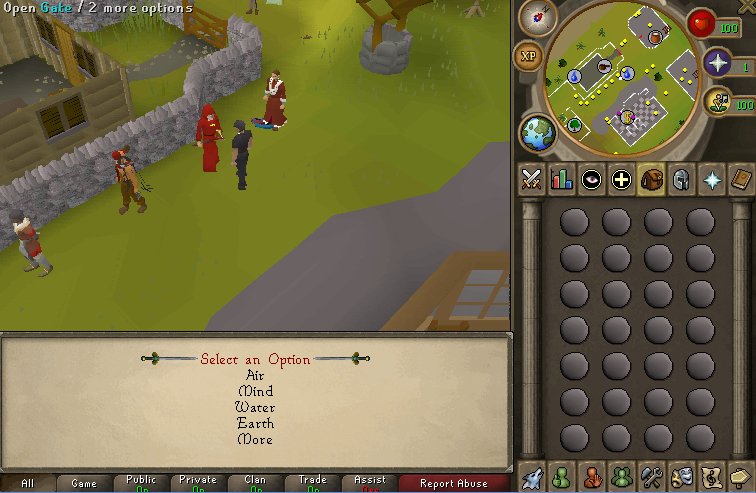 Do one inventory of air runes, and one inventory of mind runes to get to 50 runecrafting. After this, you should do nature runes to 65, and deaths to 77. AT THIS POINT, YOU HAVE TWO OPTIONS, EITHER MAKE MONEY, OR GET FAST XP. Continue crafting death runes until 91 runecrafting, then make nature runes until 99! At 91 runecrafting, you'll start crafting two nature runes per essence. Craft blood runes until 99 runecrafting. Not only is it slightly better xp, but you craft the runes after selecting the option with the mage, which makes it slightly faster per run. Re: Lazy Storm's 1-99 Runecrafting guide!